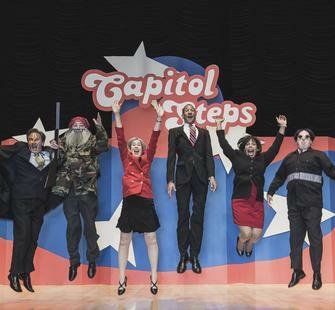 Saturday, November 15, 2014, 3 p.m. and 7:30 p.m.
Congressional staffers turned comedians, the Capitol Steps travel the States satirizing the very people and places that once employed them. Over the past 30 years, they have presented thousands shows all over the country, recorded over two dozen albums, and performed for the last five presidents. The only complaints they seem to get are from the politicians and personalities NOT included in the program.